At times, buying clothes for your children can be very overwhelming. There are so many choices out there, it is hard to be sure what is best for your loved ones, or in fact what you will actually even need at the beginning from the wide choice on offer! Choosing organic baby clothing is certainly a sensible choice when it comes to the comfort and well-being of your kids. It feels extra special as you wrap them up in super soft organic cotton swaddles, put on those cute onesies for the first time or dress your young lady in trendy organic girl dresses. However when you opt for organic, we think it’s very important to look beyond the aesthetics and understand the real value of your clothing choices. Why Choose Baby Organic Clothes? Apart from the fabulous quality and design that all of the organic bands we work strive to achieve, choosing organic kids clothing brings with it very positive benefits for human health and the environment. Here’s why we honestly believe you should choose baby organic clothes. Babies and children are delicate little things. Their immune systems are not yet fully developed, and their thin skin is very sensitive. These factors make our kids more susceptible to harmful pathogens and microorganisms surrounding them. Choosing organic clothing will certainly help your baby from being exposed to the often dangerous chemicals associated with synthetic fibers and the processing of non-organic cotton. Non-organic baby clothes have been found to contain high levels of harmful reactants that can cause or heighten eczema, allergies, irritations, and other serious skin problems in young children. As parents, the choices we make obviously play a significant role when it comes to the well-being of our children. Avoiding clothing materials with synthetic or non-organic components where possible is easy to do and a great place to start. Opting for baby organic clothes and avoiding those nasty chemicals can only be positive and will certainly increase your child’s well-being and comfort. Everyone tells us that choosing organic baby clothes makes a positive impact to the environment, but what exactly does that mean? 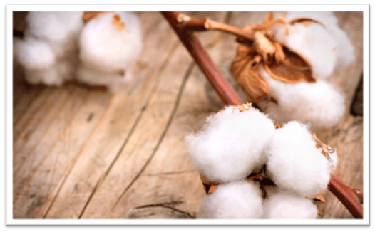 One of the primary materials for organic clothing is organic cotton. This eco-friendly natural product is chemical-free. Unlike traditional cotton, it is grown without the use of toxic pesticides, which according to the Organic Trade Association are dangerous to farmers and field workers, us the consumers and the entire eco-system. Organic cotton production also uses significantly less water, and anything we can do to help preserve this vastly important natural resource has to be a good thing! You can feel very proud, knowing that the baby organic clothing you buy is not only better for your children, but is helping to minimize environmental impact and gradually helping to change the fashion industry for the better. On the contrary, non-organic clothing relies heavily on strong herbicides, petroleum, plastics and other toxic chemicals in the production process. The intensive farming methods used to satisfy societies over consumption of often cheap, poorly made disposable apparel drastically increases soil and water pollution. Buying poorer quality, non-organic clothes can expand your environmental carbon footprint significantly whilst imposing avoidable harm to global human health and well-being. We might not see the harm caused day to day, the fashion industry have gone to lengths to conceal the negative impacts, but rest assured it is significant and impacts some of the poorest sections of society around the world. Apart from its positive impact on health and the environment, we believe buying baby organic clothes guarantees value for money. Initial marginal expenses can be higher versus traditional clothing but choosing organic is cost-effective in the long run. Organic cotton used in organic children’s clothes is stronger and far longer-lasting. You can happily pass it on to siblings or friends knowing that the organic clothes are still trendy and durable. The Organic Trade Association reported that traditional cotton wears down after 8-10 washes; however, clothing made of organic cotton can be washed beyond 20 times with no obvious wear and tear. Buying fewer, higher quality garments, will save money and save on precious resources. So whilst it is clear that organic cotton clothing is generally better made and longer lasting, there are also some other things you can do to help minimize your impact. Clothing brands have a great responsibility for changing today’s sense of fast fashion, but we are not in this alone – how we each care for our garments accounts for 25% of its environmental impact. So let’s try and make the best out of those numbers. All fabrics release microfibers in the wash. The problem is that microfibers in synthetic fabric are not biodegradable. These plastic fibres eventually end up in our oceans traveling up the food chain. So in the long run, organic materials are not only better for the global environment, but for all living creatures including you. Garments with high quality and long-lasting design are essential for building a sustainable wardrobe. Sooner or later when the little ones outgrow their clothes, a good piece of garment is always wanted by someone else. Give your garment a second chance by covering stubborn stains or holes with leftover fabric or patches. When it’s time to say goodbye – recycle, resell or donate your garments to an organization. For many garments, the laundry bag is not the place to be. Hang your clothes on a rack and let the air do its magic. Remove smaller stains with natural basics from your kitchen, such as white vinegar, baking soda, and lemon, and only wash your garments when needed. Break a pattern and set the standard for future generations. Ask brands about their sustainability work and support the front runners. Choosing organic baby clothes offers so much more than a great sense of fashion. It is better for you and your children, better for the farmers who produce the cotton and better for our environment. Thankfully as the public become more aware of the benefits of buying organic baby clothes, more parents are making the transition. But it doesn’t just stop with what you choose to buy, how you care for and how you pass on your children’s clothing all helps. Here at Tilly & Jasper we have brought together one of the largest ranges, from the very best organic children’s clothing brands from the UK and Europe, all from the very forefront of sustainable fashion and all in one place. We hope you enjoy the ranges as much as we do!